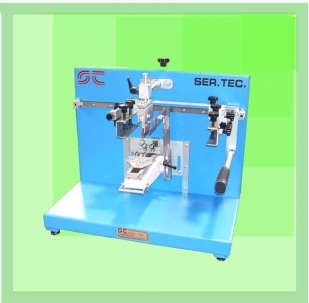 Manual screen printing machines for printing on flat and round various objects, such as pens, lighters, calculators, etc. ..
power assistance for travel and printing reverse raclea - scraper; records micrometer and various accessories to the press. - Print format: 150 x 150 Ø 50mm. - Dimensions: 500 x 350 x 500 mm.